ITEX Corporation (OTCBB: ITEX), a leading marketplace for cashless business transactions in North America, has augmented its management team with veteran executive Steve Savad, who assumed the position of Director of National Partnerships. Savad co-founded Restaurant.com in 1999 and earlier this year departed from day-to-day management. He will lead the strategy in executing cooperative agreements with national companies who have a base of small business clientele. Prior to his association with ITEX, Savad spent nine years building and running Restaurant.com. Through his efforts their team grew to over 160 people and partnered with more than 8,000 restaurants across the country. In 2007 alone, the company�s program helped fill millions of empty tables for the industry. International Monetary Systems (OTCBB:INLM) has unveiled its Form 10-Q report for the second quarter of 2008. During the three months ended June 30, the firm processed more than $29 million in trade transactions, compared to $27 million in the same quarter in 2007...an increase of over 7%. The $29 million trade volume generated gross revenues of $3.5 million, compared to revenue of $3.4 million in last year�s second quarter...an increase of 3.5%. Total expenses increased 5.5% from $3.5 million in the second quarter of 2007 to $3.7 million in the current period. The increased expenses were attributable to the continued high cost of new-member enrollments, plus higher non-cash charges for depreciation, amortization of membership lists, and stock issued for services. In spite of higher revenues, IMS had a net loss from operations of $161,020 in this year�s quarter, compared to a loss from operations of $86,859 during last year�s second quarter. After adjusting for interest expense and the income tax benefit, the net loss for the current period was $64,193, nearly the same as the $64,090 for last year�s second quarter. During this year�s second quarter, IMS generated gross revenue of $7.0 million compared to $6.7 million last year...an increase of 5.0%. Total expenses increased from $6.8 million last year to $7.5 million this year during the same quarter. The net loss from operations was $470,289 for the first six months of 2008, compared to a loss of $135,516 for the same period last year. Barter Professionals � Where Are They Now? Formerly a director of marketing for Susan Groenwald�s Chicago Barter, Gallo is now working with Groenwald again, this time in the capacity of director of marketing at the Chamberlain College of Nursing. The college has campuses in St. Louis, Phoenix, Chicago and Columbus. In addition, they offer a bachelor�s and associate degree program in nursing, an online bachelors degree completion, and are launching an online master�s program in the coming year. For more information see www.chamberlain.edu. Nationwide, more than 272,000 homes received at least one foreclosure-related notice in July, up 55% from about 175,000 in the same month last year and up 8% from June, RealtyTrac Inc. disclosed. That means one (1) in every 464 U.S. households received a foreclosure filing last month. 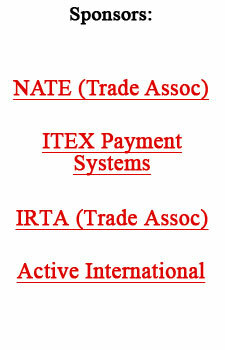 Irvine (CA)-based RealtyTrac monitors default notices, auction sale notices and bank repossessions. More than 77,000 properties were repossessed by lenders nationwide in July, the company noted. The highest foreclosure rates were in Nevada, California, Florida, Arizona, Ohio, Georgia and Michigan. Foreclosure filings increased from a year earlier in all but eight states. The combination of weak housing sales, falling home values, tighter mortgage-lending criteria and a slowing U.S. economy has left financially strapped homeowners with few options for avoiding foreclosure. Many can�t find buyers or owe more than their home is worth, and thus can�t refinance into an affordable loan. As foreclosures soar, banks and mortgage investors are also facing a pileup of foreclosed properties on their books and are cutting prices dramatically. Sometimes motivation is forced upon us. We are thrust into the Uncomfort Zone. And, whether we sink or swim depends on how we respond to the situation. How do you react during a crisis? Here are the stories of two men who faced a crisis late in life and how they dealt with it. One was a restaurant owner; the other a janitor. The former went into bankruptcy at an age when most people retire, and the latter was fired from a job he'd had for nearly 20 years. The restaurant owner enjoyed a successful business in a small town at the edge of the Appalachian Mountains. It was a great location along busy U.S. Route 25. And, because he offered the best food and service around, his eatery was jammed from sunup to sundown. But it wasn't to last. The janitor started his job at St. Peter�s Church in London as a teenager. Over the years he married and raised a family and enjoyed a perfectly predictable profession with solid job security. That is until the new vicar came along. his recipes; and was praised by famous restaurant critic, Duncan Hines, in his column Adventures in Good Eating. Then in 1956, the new super highway by-passed the little town. It�s amazing the difference just a few miles can make. Two years later the restaurant was closed and the property auctioned off to pay creditors. At 64-years-old, the restaurant owner was broke. It was around the turn of the twentieth century when the new vicar, a stickler for decorum, took over St. Peter�s Church. When he learned that the janitor could not read, he gave him three months in which to learn. Quite depressed by the news, the man thought it might make him feel better if he smoked a cigarette. usually one on every block, but there were none near the church. He walked block after block without finding one. By the time he reached his house he knew exactly what he was going to do. Town by town, he drove, stopping at every restaurant along the way. He told the owners they would be more successful if they served his secret recipes under his brand name and paid him a royalty. Two years later, in 1960, he had 400 restaurants serving his food. By 1963 he was making a profit of $300,000 per year. And, in 1964, Colonel Harlan Sanders sold Kentucky Fried Chicken to investors for $2 million, plus a lifetime salary of $75,000 per year. third and before long he had thriving tobacco shops all over London. Ten years later, he met with his banker about investing his earnings. The banker gave him some papers to sign. The man asked the banker to read the papers to him, explaining that he didn't know how. Did you know that in Chinese, the symbol for the word �crisis� is the same symbol used for the word �opportunity?� Two sides of the same coin. In other words, it�s all in our perspective. Will you find the opportunity in your next crisis? works with companies that want to be more competitive and with people who want to think like innovators. For more information on Robert�s programs visit www.jumpstartyourmeeting.com.